The Crop Rotation System Group is pursuing the development of cropping system and production technology to increase the profitability of large-scale crop rotation. We are conducting research on the environment of the field for upland crops such as wheat, sugar beet, potatoes, and beans cultivated in the upland field, and for vegetables and feed crops to be incorporated into those crops, improvement of cultivation technology and a thorough assessment of the impact on the management of farmers. Among the problems of current crop production technology and crop rotation,we are extracting improvable parts and proposing methods that can be enhanced efficiently. 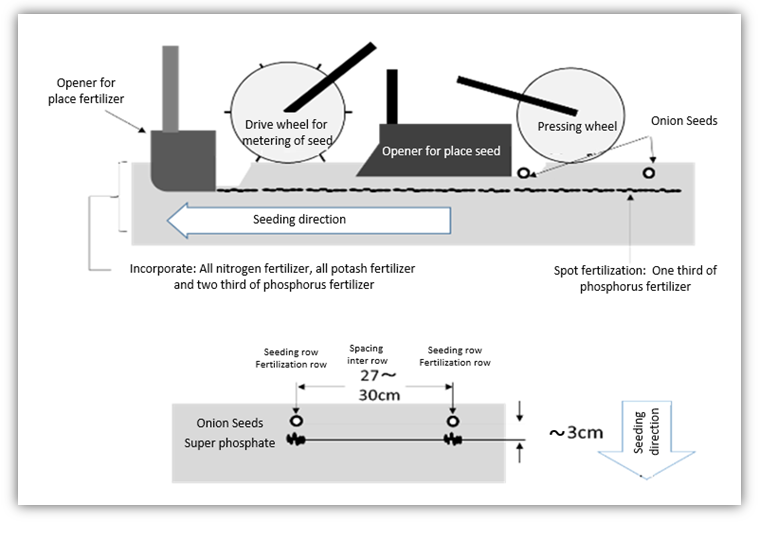 For example, when growing direct sown onion in volcanic soil with low phosphate fertility, there is a need to improve the soil in 1t before and after the phosphoric acid material per 10a. If we promote the growth of onion by topically applying phosphoric acid under the seeding stretch where the roots of the onion grow, we can drastically reduce the input of phosphate fertilizer. In addition to such reduced fertilizer and high yield technologies, we are also working on technological development related to labor saving such as seed potting production technology and technical development for outsourcing agricultural work. Regarding the environment of the field where the crop grows, we clarified the microbial phase coexisting with crops. By clarifying the relationship between microbial phases, agricultural practices and fertilization methods, we will develop a method to overcome events that impede crop rotation such as continuous disorder or soil disease by controlling the microbial phases. We are engaged in research to clarify crop varietal characteristics and crop response to cultivation methods by precisely measuring the environment within the crop community.